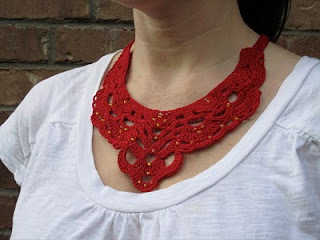 Shorty's Sutures: Crochet Bib Necklace Listed! 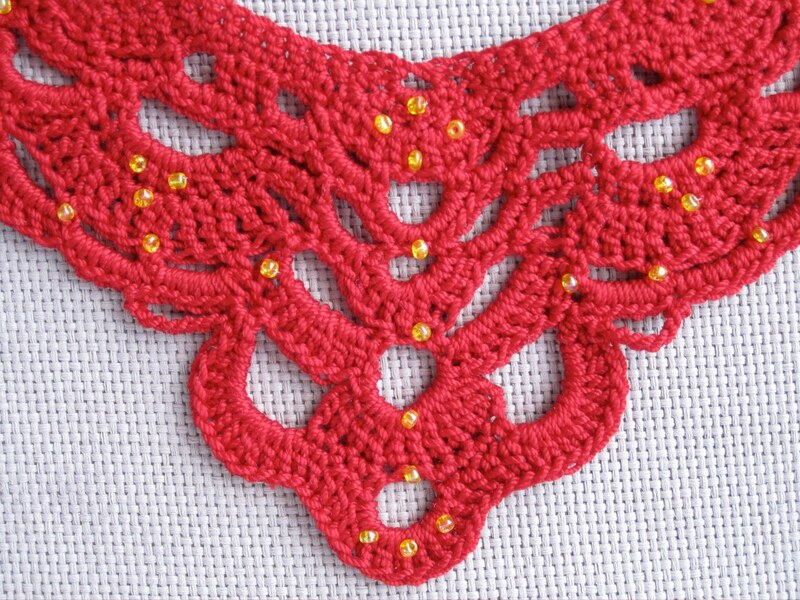 Visit my Etsy shop to see the new Crochet Bib Necklace that is now available. Currently I have only one Anthro-inspired piece in stock. You may notice that it is a little bit different than the one I made for my sister. 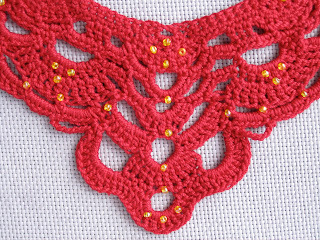 The straps are crocheted instead of ribbon, and the detail on the front of the bib are modified, too. Would you like one in a custom color that best reflects your style? Email me or convo me through Etsy to let me know what colors you prefer!